By sending the button "Request access" you confirm that we can send you access to the whitepaper by e-mail and, if you have activated this field, inform you about interesting offers concerning IAPM and project management. You can revoke this declaration of consent at any time. Enter your contact details at the top of the form and click on “Request access”. You will receive a return e-mail with a confirmation link that you have to activate within 30 days. 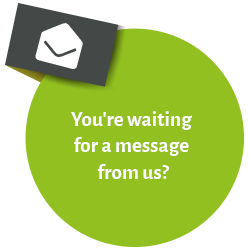 If you have indicated that you want to subscribe to our newsletter, please confirm by clicking on the link in the e-mail that we may contact you by e-mail about interesting offers concerning project management (event invitations, news, etc.). You can revoke this declaration of consent at any time. After activating the link you can access the "White Paper Hybrid PM” for 72 hours. You can also download it as a PDF file and make as many further requests for access as you like. What is the "White Paper Hybrid Project Management"? 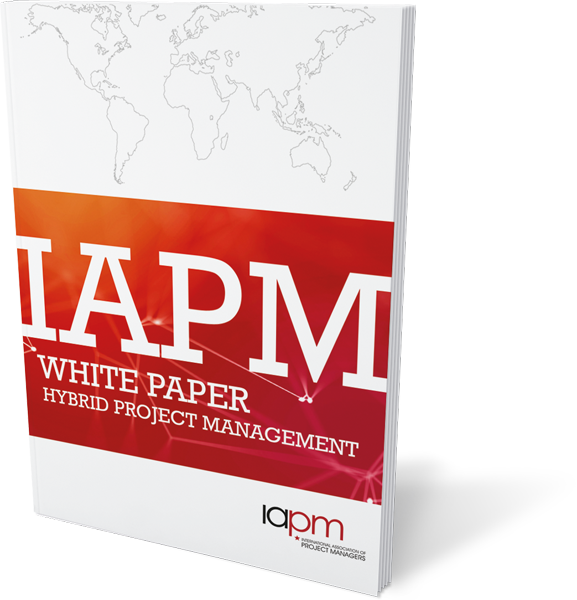 Unlike other PM guides produced by the IAPM, the White Paper Hybrid Project Management does not provide a basis for IAPM certification, but was developed independently from any certification process as a guide to Hybrid project management. In this guide, interested project managers will be able to find definitions, an introduction to Hybrid project management and will learn information about its different components. Delving more deeply into the subject of Hybrid project management would particularly suit project managers who already have experience and knowledge of Classic project management and who have also mastered and experienced the different forms of Agile project management and/or Lean management. Alongside a short introduction, the guide is divided into three main sections. The chapter entitled “The Three Most Important Project Management Approaches” deals with the broad fields of Classic project management, Lean management and Agile project management. In the area of Classic project management, the possible project phases involved in a development project and the different ways of organising projects and the project roles are discussed. You will subsequently become more familiar with the principles of Lean management and the foundations of Agile project management. You will gain a brief insight into Scrum, IT Kanban, Extreme Programming, Design Thinking and Feature Driven Development. In the chapter entitled “The Baseline for Hybrid Project Management”, the different types of Hybrid project management are described along with the deciding factors that are critical when creating a suitable Hybrid system. These factors can include both the complexities presented by the project objectives, as well as the requirements that arise from the project, the business sector or the team itself. The organisational environment and the cultural aspects of change are also part of these considerations. It explains the reasons that can lie behind the use of Hybrid project management and the sorts of things that can constitute the goal of the Hybrid approach in a specific situation. In the chapter entitled “The Hybrid Project Management Path”, the structures of Hybrid project management in the project context are set out and the challenges presented by Hybrid cultures are considered. The White Paper Hybrid Project Management is currently published in German and English.